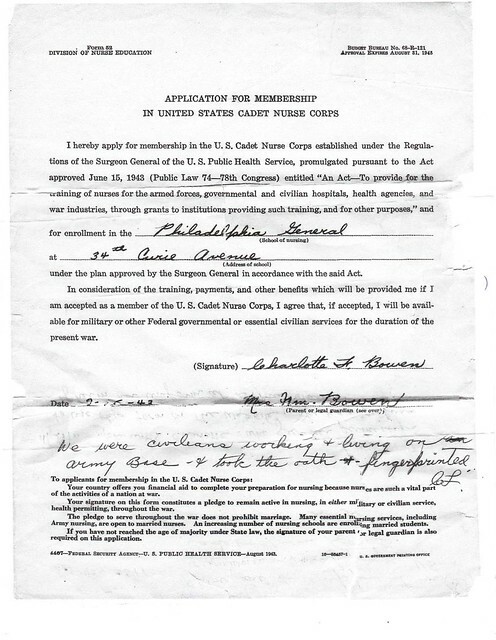 This page contains scanned artifacts related to the U.S. Cadet Nurse Corps that have been collected over the years. If you would like to contribute to the scrapbook, please contact us. Fact sheet about the U.S. Cadet Nurse Corps and its effects on health care and nursing education in the U.S.